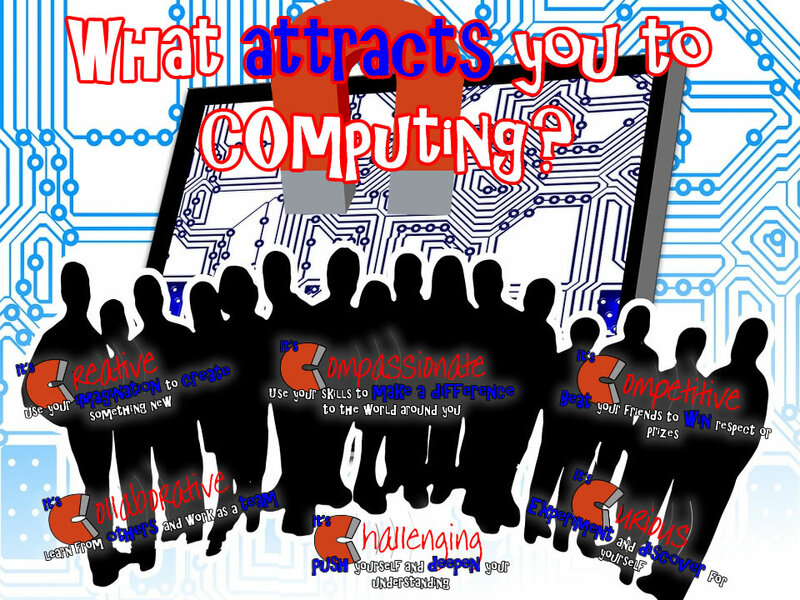 What attracts you to computing? Can Computing be: Creative, Compassionate, Competitive, Collaborative, Challenging and Curious ? This might all sound more that a little airy-fairy, and it’s certainly not always possible to have each attribute in every lesson, but it’s intended to be a way of avoiding the monotony of ‘death-by-scratch’ or ‘oh-no-not-another-python-lesson’ whilst making sure that every student has an opportunity to engage with and take pride in their work.